Illuminating often commercially neglected but critically acclaimed - and highly influential – post-punk artists such as The Fall, The Monochrome Set, Felt, The Triffids, the Go-Betweens, Killing Joke the Cocteau Twins and the Marine Girls, Sinclair’s journalism brings revealing insights into the contemporary sounds of those times while also chronicling the ups and downs of a music journalist’s life. This accessible and entertaining collection of interviews and reviews, some never previously published, also spans everything from anarcho punk to stadium rock. Alongside established names, such as Eurythmics, Simple Minds and Duran Duran, are punk legends Crass, Black Flag, the Ramones and the Damned, and industrial noise pioneers Einstürzende Neubauten, Foetus and Test Dept. More diverse subjects include writers Raymond Carver and Kathy Acker, LSD guru Timothy Leary, explorer Christina Dodwell, historian Christopher Andrew, film-maker Alex Cox and tabloid editor Derek Jameson. 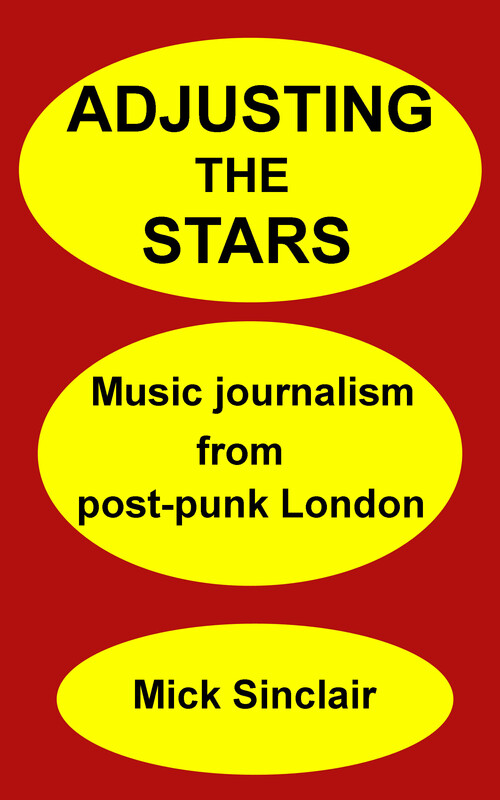 Appearing mostly in major London-based music publications such as Sounds, NME and Zigzag in the early to mid-1980s, the reviews and features included here hopefully provide an otherwise hard-to-find contemporary commentary on the era, revealing much about the music and the music makers of the time as well as a little about one of the people, myself, who wrote about it and them. Far from complete and certainly not a ‘best of’, it is a collection that for the most part would fail any test of journalistic quality. At least early on, I never used one word where several would do, specialised in sentences without verbs, and did little to challenge the idea that overwritten, under-punctuated text with strong opinions based on vague impressions was actually what was required (not least because it often was what was required). In mitigation, all of it was heartfelt and honest, and driven by enthusiasm rather than any particular writing ability. None of these unexpurgated, unadorned pieces was expected to stand the scrutiny of a month, never mind decades, but bringing them together might at least help contextualise music that may be more than thirty years old but often sounds uncannily like it was made yesterday. It just seemed so right.